Vitamin C, it’s everywhere. Daily vitamins, cold remedies and orange juice are all full of this ingredient, and most people accept that it’s good for them. But how many people realize the full potential of vitamin C in multiple areas of their health and life? Who takes the time to research the wondrous effects that this vitamin really has? Vitamin C is sometimes known by another name: ascorbic acid. Of course, no matter what you call it, vitamin C is still beneficial. It’s been the case for hundreds of years. Sailors, for instance, would fight of scurvy with a healthy dose of the stuff. Scientists now realize that ascorbic acid helps create collagen in the skin. This protein is necessary to give strength and blood vessels strength and firmness, while vitamin C helps skin create scar tissue. It might not be pretty, but it does help your skin heal itself, which is ultimately more important. Vitamin C can help with the appearance of your skin, however. It reduces the damage from free radicals, which means less wrinkles or line on your face. If you spend a lot of time in the sun, you should be using sunblock, but adding vitamin C to your diet can also be a boon. This is because products like Liposomal Vitamin C can help reduce sunburn in addition to your topical products. Other benefits range from improvement in depression symptoms to giving your immune system a boost. In fact, a high dose of vitamin C can help you get over the common cold much faster, while regular supplements enable your immune system to ward of those nasty viruses to begin with. Researchers are just now discovering how vitamin C helps with cardiovascular health, too. The downfall of traditional supplements is absorption rate. You can expect that your body will only absorb about 20% of the nutrients in your typical vitamin. 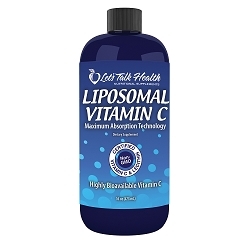 However, new advances in the form of liposomes allows your body to absorb over 90% of the vitamin C, which means a single pill does your body good, better than supplements without liposomes, in fact.